Name or part of the name of numerous individual documents in the German-speaking area. Examples of the other are Good Hell, Hahnhölle, Höllenberg, Hellfire, Hell's Path, Hell's Way, Cat's Hell, Long-Hell, Main hell, Muckerhölle, Ritterhölle, Schlosshölle, Schönhölle, Hell and Würzhölle. The name has less to do with the place of terror, but derives mostly from the Old High German "hero" for heap or steep slope comparable to the English "Hill" from. He can also point to climatically hot conditions. 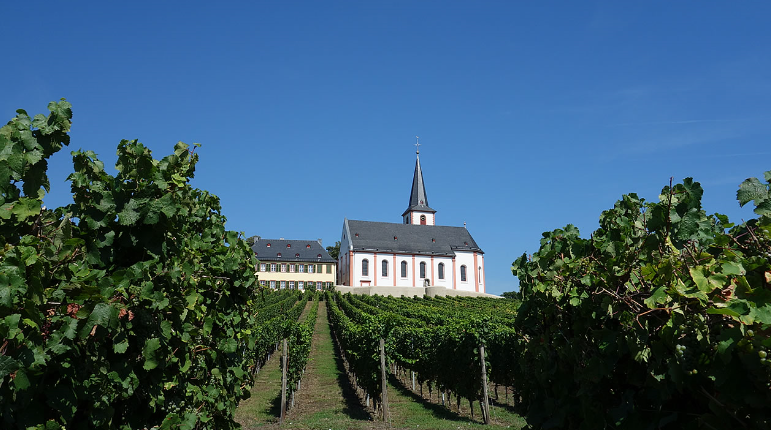 Other individual layers called hell exist in the wine-growing communities Alf (Moselle), Alsenz (Near), Alzey-Weinheim (Rheinhessen), Castle Layen (Near), Eckenroth (Nahe), Guldental (Near), Hammerstein (Middle Rhine), Heddesheim (Near), Nierstein (Rheinhessen), Saulheim (Rheinhessen), Schierstein (Rheingau), Sprendlingen Wöllstein and Wonsheim (Rheinhessen). Also in Austria there are several Rieden called hell. This page was last modified at 24 April 2018 at 20:11.